Singapore remains the 2nd most expensive city in the Asia-Pacific region for expatriates and tops the region rankings when costs related to housing, education, medical and transport are excluded. 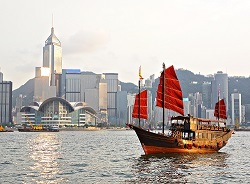 While Hong Kong has retained the top spot (overall most expensive in Asia-Pacific) due to the extremely high housing costs, as well as high cost of schooling and limited space available making rentals high. What are the other changes to the cost of living rankings for the second half of 2015? Xpatulator.com has been conducting research into cost of living and hardship since 2007. The data is used to help companies calculate cost of living and hardship differences so that their employees' purchasing power is maintained while on an international assignment. The cost of living data compares 13 different baskets of goods and services commonly purchased by expatriates in over 780 locations worldwide.